Band Camp was held over a weekend in early March. 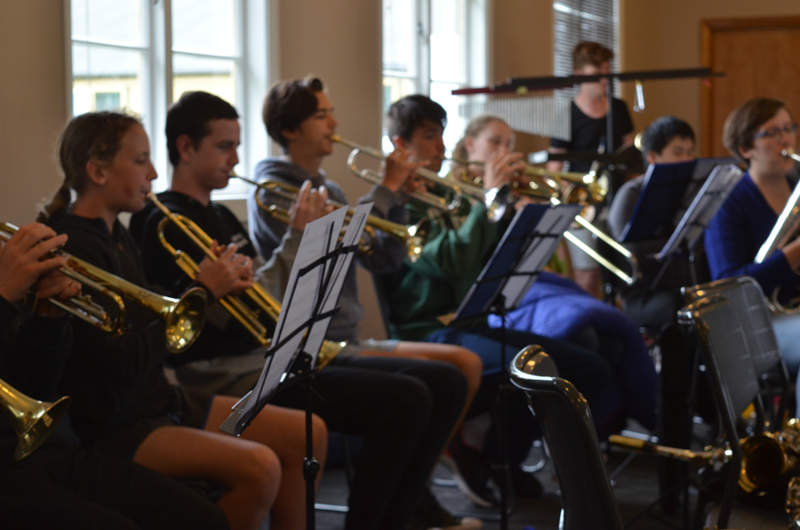 This is an annual event, the purpose of which is to bring together the band and other music groups in the school for a weekend of intensive rehearsal, and to give its members a chance to get to know each other better. 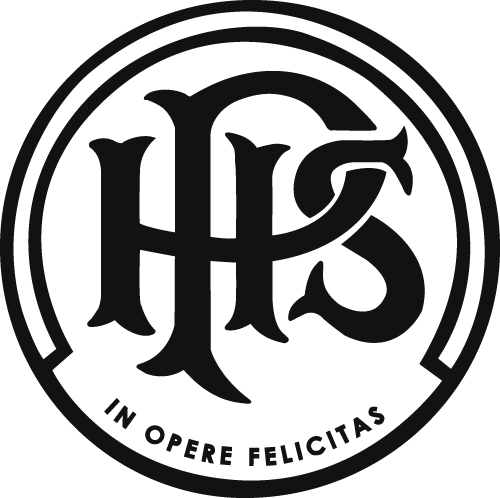 The students and staff work incredibly hard with first rehearsal Friday evening, followed by a full schedule of sectionals, and group rehearsal on Saturday and Sunday morning. 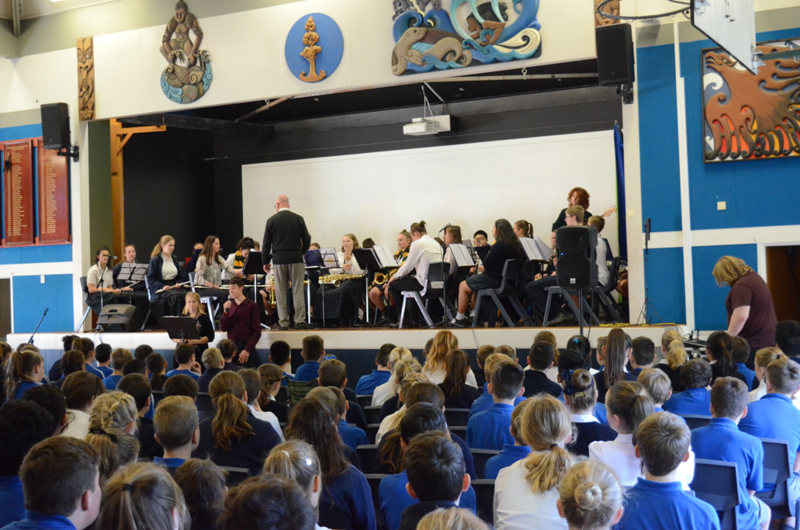 All those attending had a great time, and the Concert Band made their first public performance on Wednesday the 28th March in the R Block Courtyard. This concert marked the first performance event in what is scheduled to be a very busy year for the Band. 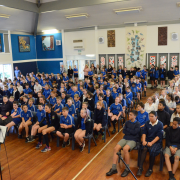 They will also be touring Nelson schools in July, competing in the annual Christchurch Wind Festival, and performing at the Papanui Methodist Chapel on the 15th May. 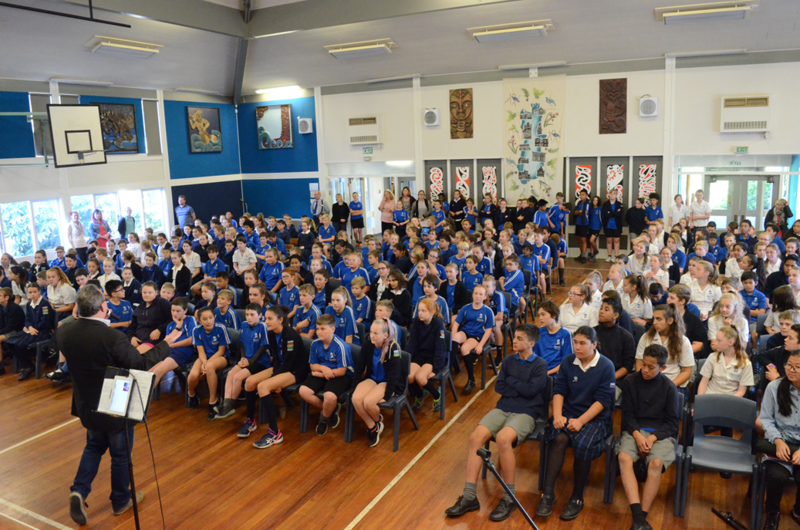 The Music Department’s annual tour of Intermediate schools was held on Wednesday the 9th of May, we visited three schools - Casebrook, Breens, and Heaton Intermediates. The day began with the Jazz Combo, Jazz Band, Flute Ensemble, Year 13 Rock Band, soloist Kayla Gay and the Concert Band, performing for a fabulously attentive audience at Breens Intermediate. The transitions from school to school ran very smoothly with both students and staff setting up and packing down like a well-oiled machine. The feedback from the schools has been uniformly positive, they were all ‘wowed’ by the quality and professionalism displayed by our, let’s face it, very talented students.